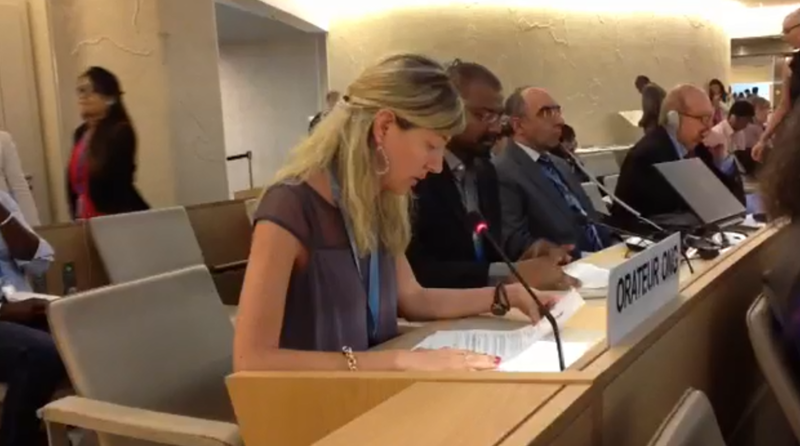 On Tuesday, June 24, 2014 IIMA and VIDES presented a joint oral statement on youth empowerment during the 26th session of the Human Rights Council. The statement was presented during the Item 8 General Debate on Follow Up and Implementation by Maria D’Onofrio and was entitled “Youth Empowerment: A Human Rights Perspective.” The statement was in response to the recent cross-regional statement on the situation of youth worldwide that was supported by 116 cosigning States. At the conclusion of the statement, IIMA and VIDES provided the States with three recommendations that encouraged them to take concrete action to empower youth and protect their specific human rights, as well as working to mainstream youth issues into the UN human rights mechanisms and panel discussions by incorporating them officially into the Treaty Bodies, the Special Procedures, and the UPR process. Listed below is the link to presentation of the oral statement. Skip ahead to 56:18 minutes in order to see the statement.